Chrome molybdenum jaws hardened to 56-61 HRC. High leverage compound action that cuts hardened steel up to 40 HRC. 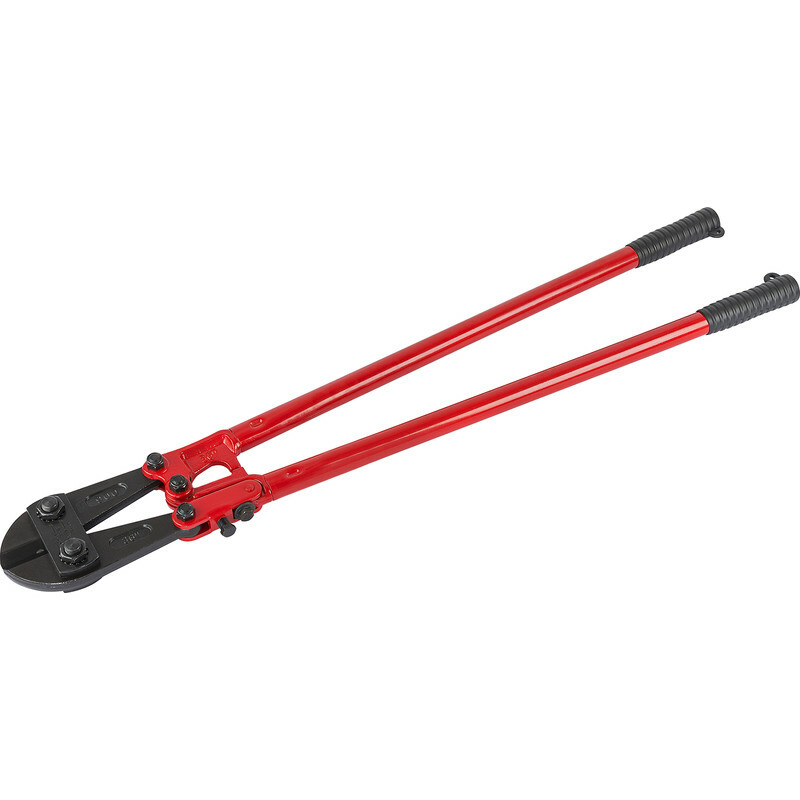 Bolt Cutter 24" (610mm) is rated 3.2 out of 5 by 10. Rated 5 out of 5 by Ancient Plumber from Proper job Fantastic value - don't need these often and used small angle grinder to cut reinforcing mesh but these just snipped through like a knife through butter - better job in a tenth of the time! Rated 1 out of 5 by Dommy G from No good I am a massive fan of Toolstation, so much cheaper than other DIY stores. But these bolt cutters simply can not cut. Even in the closed position the jaws are slightly open. So no good for cutting thinner metal. Took them back to the store and they tired to cut the item in question and agreed they were no good and they refunded and supplied me with a better item.